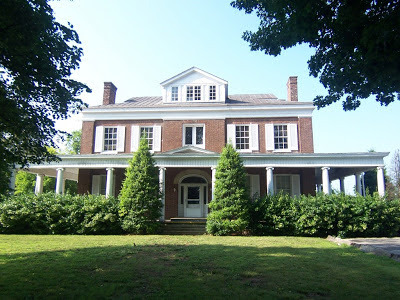 404 West Maple Street - Nicholasville, Ky. Jessamine County PVA. A month or so ago, my family was walking along Nicholasville's West Maple Street when my wife commented on what appeared to be work being done at 404 West Maple Street. My heart jumped as I thought that this circa 1921 residence would be remodeled and given a new lease on life. This, however, was not to be. On Black Friday (2015), the house was demolished. According to records of the property value administrator, the two-story house had 2,228 square feet. But the house would not reach its 95th year. 404 West Maple Street - Nicholasville, Ky. Author's collection. The house was acquired most recently by auction in September 2015; the photo above was taken post-auction. The stone foundation supported a frame structure encapsulated in aluminum siding amongst its many windows. Its most noted owner was Hugh "Buddy" Adams, a former superintendent of Jessamine County Schools who retired in 1983. Buddy Adams was an alumnus of both Transylvania University and the University of Kentucky. 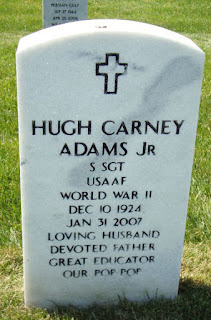 He served in the U.S. Army Air Forces as a Staff Sergeant during World War II and was a deacon at the Nicholasville Christian Church (Disciples of Christ). 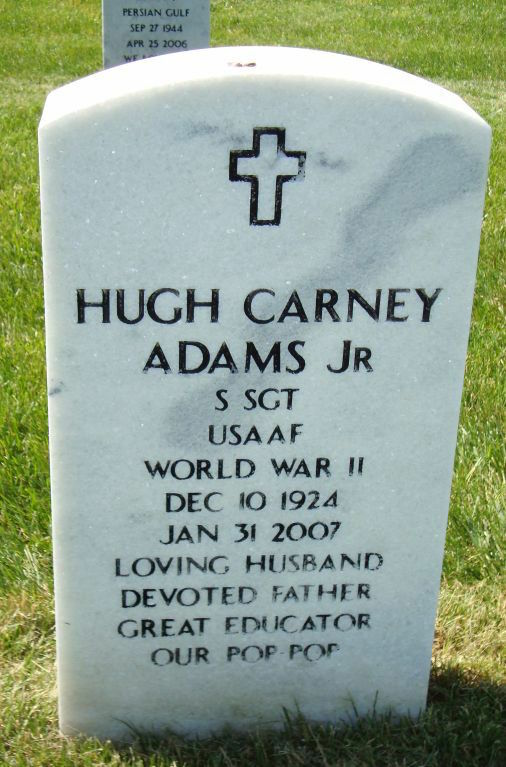 Mr. Adams passed away in January 2007 and is buried at Camp Nelson. He left behind his beloved wife Helen, to whom he had been married nearly 60 years at the time of his passing. She continued to live at 404 West Maple Street until earlier this year. 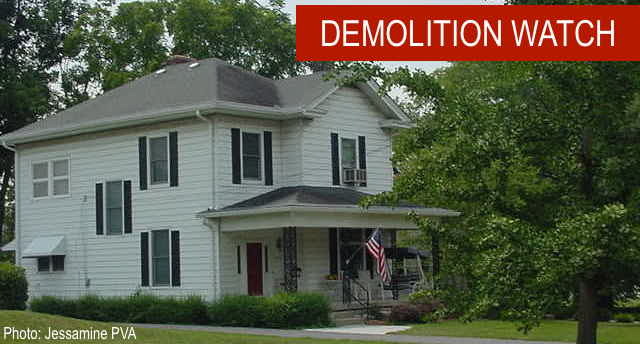 In other words, this house wasn't long neglected or vacant. It, until very recently, was a home. It was a place that added character and unique charm to the street. 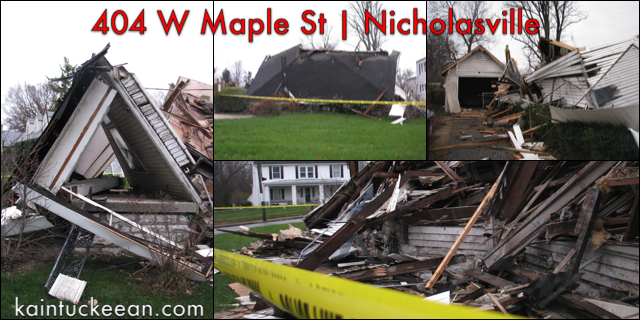 Just two years ago, another house was demolished on West Maple Street (603) due to the local government's receipt of a community development block grant. Like 404 West Maple, 603 West Maple was constructed ca. 1920 and it "added character to the streetscape of West Maple." 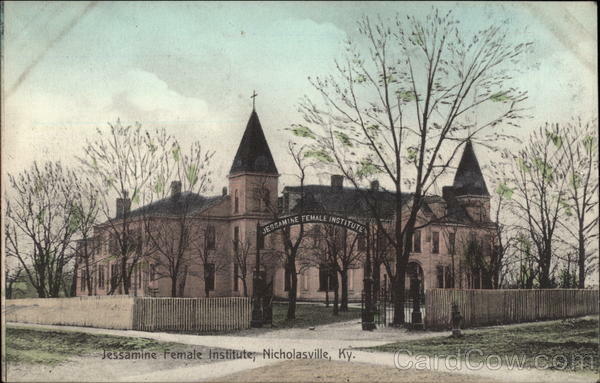 The subject house, 404 West Maple Street, was located on land once occupied by the Jessamine Female Institute which was incorporated in 1866. The school shuttered in 1909 or 1910 and its assets were soon sold. The main building of the Institute, a three-story structure built in 1888. Approximately eight years later, the subject house was built. And in 2015, it was demolished. I'll be sure to update this post if and when I find out why.